Folks living outside of the USA will be pleased to know that the Apple iPad will finally make its way to their part of the world officially without having to rely on imports or gifts from friends Stateside. The hallowed date would be May 28th, and if you happen to live in Australia, Canada, France, Germany, Italy, Japan, Spain, Switzerland and the UK, then hip hip hooray for you and a bottle of rum! To make sure that you are able to get your hands on one of these puppies, make sure you place a pre-order on the iPad model that you want (Wi-Fi only or the 3G with Wi-Fi version) from Apple’s online store in all nine countries stated from next Monday onwards (May 10th). Do you think the continent of Europe will see superb iPad sales just like those in the US, where Apple actually moved over a million iPads since its official release? Here’s some trivia – customers of the iPad have already downloaded more than 12 million apps from the App Store, alongside over 1.5 million ebooks from the new iBookstore. As for folks who are residing in Austria, Belgium, Hong Kong, Ireland, Luxembourg, Mexico, Netherlands, New Zealand and Singapore, you will have to wait until July for this device to hit the respective markets, and there is still no official word on local pricing as well as pre-order plans, although Apple isn’t going to leave you hanging high and dry as they will be announcing availability as well as the relevant details for those nine countries at a later date. Guess this is where you learn to exercise patience as a virtue, eh? Just in case you were living under a rock for the past year, the iPad is a device that boasts a much larger display than the iPhone and iPod touch, although it functions pretty much the same way using a similar operating system, letting you connect to your apps and content in a more intimate, intuitive and fun way than ever before. 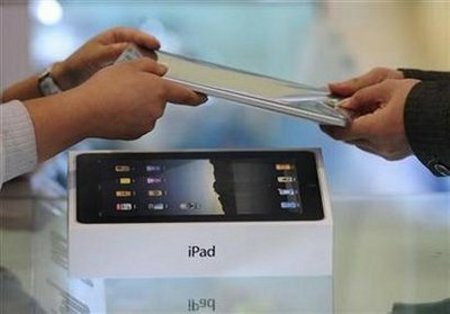 With it, you can browse the web, read and send email, enjoy and share photos, watch HD videos, listen to music, play games, read ebooks and much more, all using iPad’s revolutionary Multi-Touch user interface. A week ago bought micro sim adapter from http://www.gomicrosim.com. Costs only 4.5 EUR. Really worth it. Now use my simcard in both Ipad and Iphone. Should save me lots of pounds, since there is no need to sign for another plan. Highly recommend this seller, his price and delivery options are the best so far.